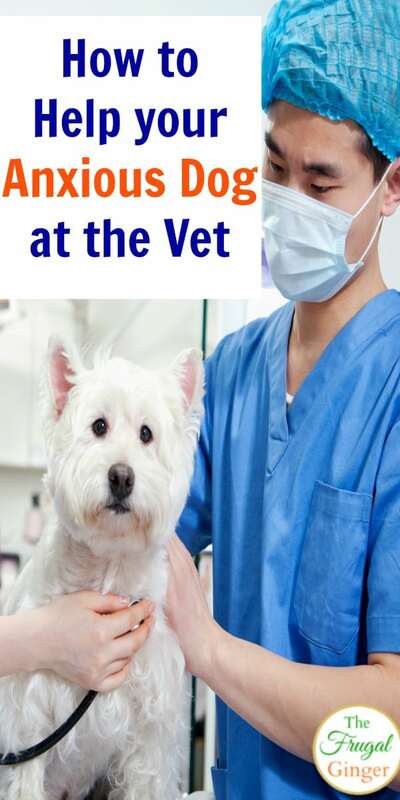 Do you dread taking your dog to the vet? I used to be that way until I found some tricks that will help you calm your anxious dog at the vet. Now taking my little fur baby to the vet isn’t so traumatic for either one of us! My dog, Obi, has what I call small dog syndrome. He likes to act all big and bad but when it comes down to it, he is just a baby. He was terrified of going to the vet! He would growl, cry, snap, and just make it so much harder on himself. He had a pretty traumatic experience at the vet when he was a puppy and it has never been easy to get him examined since then. Needless to say, I never took him back to that vet again! I wanted to share some things that have really helped to calm my anxious dog at the vet so that if you are dealing with this same type of situation, some of these tips may be able to help you and your pet, too. I learned that a big part of calming my dog at the vet starts at home. I started doing these things at least a week before every vet visit so on the day of Obi’s appointment, he is calm and ready to go. Get out the Carrier: If you use a carrier, don’t just get it out for vet visits. Have it sitting out for a few days before your dog’s appointment so that they can get used to seeing it and laying in it on their own. Add a nice soft blanket to make it more comfortable and cozy. Go for a Drive: If you don’t usually take your dog for car rides, now is the time to start. Take them on a trip to the pet store, run some errands, or just take them through a drive-thru. You want them to associate the car ride as something fun, not only as a source of anxiety because the only time they are in the car is to go to the vet. Give a Mini Exam: Being poked and touched by a stranger can be stressful for your dog. Make it easier on them by touching them the same way a vet will during an exam. Practice lifting up their lip to look at their teeth, hold their front paws in your hands for a few seconds, and feel of their belly with both of your hands. Getting them used to being touched this way can really ease the stress during an exam. You can even practice having them stand on the bathroom scale if they are small enough to get them used to getting their weight taken! Another great way to calm your anxious dog at the vet is to keep them calm as soon as you are ready to leave the house. 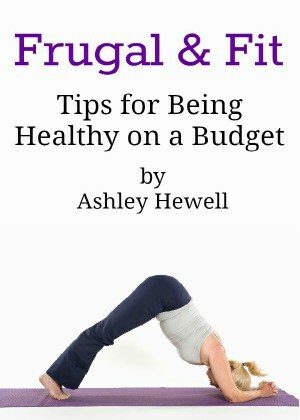 There are several ways you can do this, try a few and see which one works best for you and your dog. Use Pheromones: These can be very calming for pets. You can actually buy a pheromone spray and spray it on the blanket in their carrier to help keep them calm on the car ride to the vet. Thundershirt: I know a lot of people that swear by these. If your dog gets really anxious and scared, a Thundershirt might help. They aren’t just for fireworks and thunderstorms. You can have your dog wear them to the vet as well. Calming Music: On the trip to the vet, play some calming music in the car. Classical and Reggae music have been proven to calm pets. You can even find music albums made specifically to calm dogs. Once at the vet, use these techniques to keep your dog calm and comfortable in the waiting room and during the exam. Wait in the Car: If it is at all possible, ask the receptionist to call or text you when the exam room is ready so that you can wait in the car or just walk around outside. The waiting room can be loud, filled with strange people and smells, and just overwhelming for some dogs. This will make sure that all the hard work you did getting them calm at home won’t be ruined in the waiting room. Ask to have the exam on the floor: A lot of dogs can be scared of the high exam table so if you know that your dog isn’t a fan of this, simply ask the vet to conduct the exam on the floor. Most will be fine with that. You can even get down on the floor with them so that your dog feels safe with you nearby. 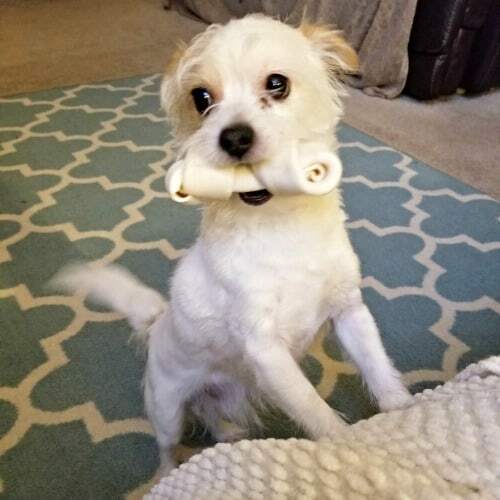 Bring Treats and Toys: If your dog has a favorite toy or treat, bring some with you. My vet usually has dog biscuits to give but Obi doesn’t like them. I always bring his little meat sticks that he likes and give that to the vet to give as a reward. When your dog starts associating something that they love with going to the vet, it should make the next visit easier. 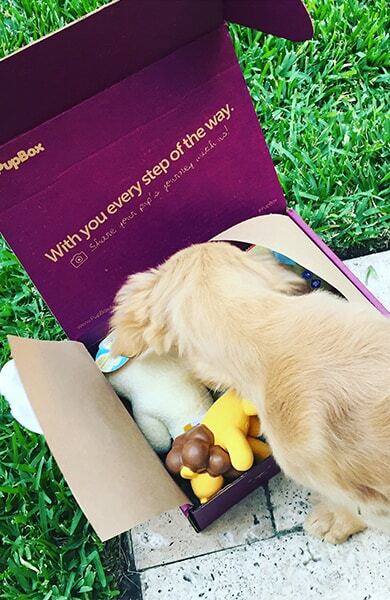 If you want to have some new treats and toys to surprise them with after the visit sent straight to your house, check out PupBox. Every month, your little fur ball will get treats, toys, accessories, and training tips for you. By using these techniques, I hope you are able to calm your anxious dog at the vet so that your next visit is smooth and easy for both of you. They have made a dramatic difference for me and Obi and I even use these tips for when he has to be groomed. It’s important to keep our dogs healthy and to make it a good experience as well.